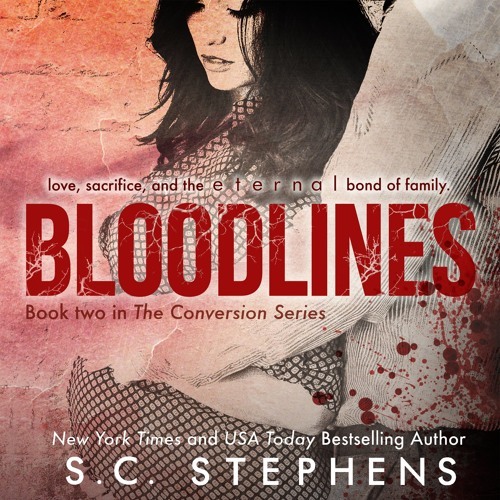 Bloodlines by S.C. Stephens on Audible: http://www.audible.com/pd?asin=B00KAGKC98&source_code=AUDORWS06041499SG Get this audiobook for free when you try Audible: http://www.audible.com/offers/30free?asin=B00KAGKC98&source_code=AUDORWS06041499SG Summary: Teren Adams was everything Emma had ever wanted in a man - kind, caring, loyal, loving, and on occasion, a hopeless romantic. True, he was also a "little bit" vampire, and had recently joined the ranks of the undead, but to Emma, that wasn’t important. She was his, he was hers, and she couldn’t wait to be his wife, have his children, and stay by his side for as long as her mortal life would allow her to. At least...that was the plan.